San Francisco to London in 30 minutes! Imagine a transportation method that will allow for you to travel from San Francisco to London in 30 minutes. We used to have a supersonic plane called the Concorde that would allow for a person to fly from New York to Paris in 3.5 hours instead of the 7 it takes on a normal plane. The trip from San Francisco to London is even further, but this new mode of transportation would allow for you to make it in less than 30 minutes. How would that change the world? You are working on a complex business arrangement and you need to meet with people on the multiple continents as quickly as possible. Soon you will be able to. Meet in Washington in the morning, go to Beijing for lunch and then finish it off in San Francisco for dinner. Today in Australia, Elon Musk proposed just such a system that his company SpaceX will start to build within the next year. While the benefits of quicker travel between points on earth is compelling, that primary motivation is even more visionary. The goal of the BFR (Big Falcon Rocket) is to lower the cost of space travel while at the same time increasing the capacity. 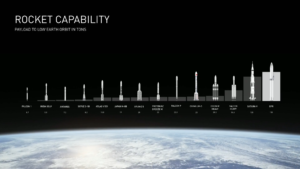 The BFR is more capable than any rocket that has ever been produced or is planned to be produced. The BFR is more powerful than the Saturn V which was the rocket that took Buzz Aldrin to the moon. 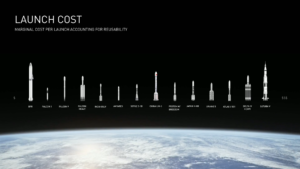 While the BFR will be more costly to build than any of those other rockets, those costs can be spread out over multiple flights since it is 100% reusable. Some argue that reusability costs performance, and it is true. But you could improve the performance of airplanes by not having landing gear or flaps. And use those weight savings to give a slightly more cargo capacity. Instead of landing the plane you could use parachutes to land the cargo and let the plane crash in the sea. Sounds crazy. No one would consider doing that. But that is exactly the same thought process that has driven rocket design since its beginning. And we have just lived with it. Never questioning the absurdity of it. But this does not feel like a mirage. 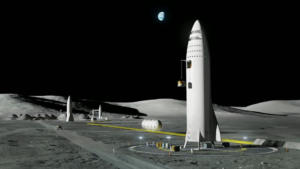 The resources that have developed, built and operated the Falcon 9, the Dragon Capsule, and the Falcon Heavy will be deployed full-time on the BFR project within the next year. And Elon is planning to use the BFR as the sole rocket to service his customers going forward. Isaac Arthur has created a number of videos that walk through the logic and process of space exploration, industrialization, and colonization. In 1970 there were roughly half as many humans as in 2016 and the growth continues. The 7.4 billion that are on the Earth in 2016 are on average living longer, more materially better lives than the 3.7 billion in 1970. The people of 2016 are more connected and more empowered, have better access to food, clean water, and information than those in 1970. Some people are concerned about needing to limit the population growth but Jeff Bezos, the founder of Amazon and Blue Origin, recently talked in an interview about the possibilities of having a trillion people. It is difficult to imagine Earth sustaining a trillion humans. But when you consider all the resources and real estate in our solar system alone, a trillion might be a low number. Consider Mars, Earth’s moon, the moons of Saturn and Jupiter, big asteroids, and all the empty spaces in between. Perhaps we will even develop the technology to tame Venus and turn it into another Earth. At that point it would be difficult imagine anything that we could not overcome. When we have a fully developed and fully connected solar system, it will be possible to shift around where goods are made, food is grown, and energy is produced. Perhaps all industrial activity will be moved beyond Earth with the finished products delivered in an ecologically benign way. Earth as a whole might become a protected garden. A place for people to come and admire a natural world that was the cradle of all known life; that gave rise to an intelligent species that would do intelligent things. What about the trillion people with experiences unlike anybody today? How many great people there will be! There will be Newtons living on worlds with 1/3 gravity from birth and will develop a completely different view point on life than their Earthly cousins. Aristotles growing up on Jupiter’s moon with the giant red storm constantly in the sky and new thoughts about the meaning of life. Einsteins living in weightless environments with a completely new insight into the laws of the natural world. Edisons living in places where water and air are not as easy to come by who develops new inventions to make it stretch. Unique life experiences lead to unique perspectives develop new insights. Impossible for us to understand today much less imagine. Today when we are stuck on earth, the some see the nearly 8 billion people like a problem that needs to be managed. But when we open up the heavens and move as freely between planets as we move between continents today, then a trillion people will be just the beginning. Humanity is standing at a fork in the road of time. A choice that will be looked back upon for the significance of choosing rightly or will be buried under the sands of time with the rest of us. A choice of maintaining the unnatural view that earth is the center of the universe or to accept the fact that the earth is just a little island in a great archipelago. What other islands are there? The moon, a three day journey hovers in the night sky with preserved footprints from a generation that dared to go. A reminder, that great heights once scaled can become beyond reach. Mars, a journey of some 6 months, a world with ice, an earth like day, and mineral resources to create familiar settings. The moons of Jupiter and Saturn lay beyond. In the spaces between, Asteroids and comets fly by like golden nuggets in the stream of the universe awaiting for the prospector’s faith to reveal their value. We can go. We can build ships to go to these worlds. Build structures to protect and support life. Build systems that would allow for us to thrive there. We could learn to make productive use of the resources of our system. Develop the technology to live on other worlds and even between those worlds. A huge challenge that is worthy of us to inspire and unleash our potential as only a nearly impossible challenge can. Then once we have develop the confidence, technology, and, more importantly, the right perspective, we will be able to take that next step of sending life to another string of islands in another system. A process that would take centuries, but once begun would lead to the populating of life throughout the universe. And people would look back on this time with awe and disbelief that we could have done something other than accept this challenge. 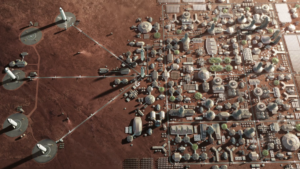 On Tuesday, 9/27/2016, Elon Musk addressed an audience of about two thousand people to outline his “Mars Colonial Transportation System” which had been in the works for years. But more importantly, he made a compelling argument about the attributes required by any system that seeks to make a radical improvement in cost of space transportation: Full Reusability, Refilling in Orbit, Propellant Production On Mars, and Right Propellant. Full reusablity is a must in any system that has high capital costs. Everything from bicycles to air travel would be cost prohibitive without re-usability. Can you imagine if every time you rode your $100 bike some place you had to build a new one? How many bike trips could you take? Air travel is even a better example. When you ride a Boeing 737 some place, you are riding a $90M piece of equipment. It holds about 180 people, which means that the cost would be $500,000 per person if it was not re-usable. But right now you can use that plane from LA to Las Vegas for only $43 per person. That is because the fuel only costs $10 per person. And the plane can be use with very little maintenance on trip after trip after trip. Full reusability is key to reducing the costs of space travel..
Refilling in orbit means that the space craft that goes to Mars can be launched with nearly empty tanks and then multiple filling trips can be made to fill the tanks. This reduces the size of the system and allows for the materials required to go to Mars to be split across multiple launches. Being able to produce propellant on Mars (or at other destinations) is key to reducing the cost. It takes fuel to carry the fuel to return. Being able to produce fuel at Mars, and use that fuel to get the space craft back to earth will be key. In order to produce fuel on Mars, you need to make sure that you are using the right propellant. The F9 rocket uses kerosene which is produced from oil. And as best we know, there is no oil on Mars. But methane is another choice. Methane can be produced with CO2 and H2. And since the atmosphere of Mars is 97% carbon dioxide and there is significant amounts of water ice, which can be broken into H2 and O2 using electrolysis, it would be possible to produce methane on Mars. SpaceX has also developed and recently tested the Raptor engine which is a methane burning rocket. With the four characteristics of Full Reusability, Refilling in Orbit, Propellant Production On Mars, and Right Propellant, it would be possible to reduce the cost of space travel to a level that would open up the solar system to more exploration and colonization. Last week I attended a company workshop which had one hour dedicated to time management and effective delegation. There are many directions to delegate: Up, Down, and Sideways. Delegate UP when you need more support. Delegate sideways when others provide a service that is dependable and more efficient than doing it on your own. Or when people in your team have availability and can help you to complete the job quicker. Delegate down when you have direct reports and you can set their priorities and focus. There are many risks with delegation. There is an overhead to delegation. The efficiency provided by delegation needs to be greater than this overhead. Otherwise there is a near term increase in the total effort required. (There is the potential that by delegating now with an eye to delegating in the future that this overhead will be reduced.) There is also a risk about commitment. Unless the person that you are delegating too is a direct report, it may be difficult to hold them to their commitments. There is also a risk that they will be given work from their reporting chain that preempts the work that you had delegated to them. Also there is an implicit assumption that they will be able to delegate back to you. Will you be able to reciprocate? What is included in the overhead with the delegation? And how can this overhead be reduced? In any situation, there is information required to perform a task. This information may be “tribal knowledge” and is assumed as known to all that work on a project and is not documented in a way to bring others up to speed. There are situations where the knowledge is documented, but it would require a significant amount of time to review the requisite documentation to be able to perform the task. This overhead can be reduced by ensuring that knowledge is capture in consistent way in the organization that optimizes the location of the critical pieces needed to perform a given task. Also, finding task units and activities that are common through out the organization can help to reduce the overhead of delegating a task. How is efficiency achieved to offset the overhead of the delegation? In the situation where everyone is similarly skilled, it only makes sense to delegate tasks based upon the availability of the people involved where the overhead is extremely low. However, in most cases, the group will be made up of people with different skills, experiences, and inclinations. It is quite possible that a given task could be performed more than twice as fast by someone else because they have a more efficient way of approaching the problem. In this case, the ability to delegate can reduce the over all work in a group. But it is necessary to have some mechanism to identify who is better skilled in a particular area and who has a desire to do a particular type of task. Delegation can allow a group to get more done only if approached correctly. Otherwise it might increase the risk and the effort required to perform the same amount of work.